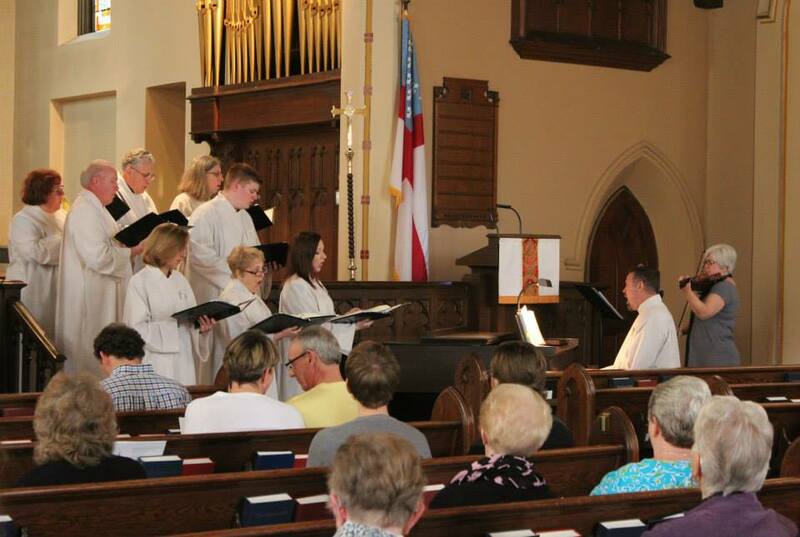 The choir accompanies the congregation from September – May. They rehearse on Wednesday nights from 7:15 p.m. to 8:30 p.m. and half an hour before the 10:00 a.m. worship service. Our worship services are enhanced by our 1924 Chickering Grand Piano and the 1920 Wangerin-Weickert Pipe organ. The organ was restored and enlarged in 1998. We'd love to have you visit with us! Learn more about us in our Visitor's Center! More options on our Contact Page.